In business, some of our best lessons are learned through seemingly innocuous encounters, and we often don’t see the value of a lesson until it’s too late. When speaking with my auto insurance agent about a new car I’d purchased for work, I was surprised by some of the questions: Would I be using this vehicle for business or personal use? If used it for business, how many miles would I be driving daily? The questions seemed routine enough — until I saw how much my answers could affect my premiums. Those few questions led me to completely redefine how I look at auto insurance for my business. Many small businesses rely on dedicated vehicles to help get the job done, and driving for work can send your premiums through the roof. Here are a few of the most valuable lessons I’ve learned from my experience developing an auto insurance strategy for my company. When making a business decision that could impact your financial success, it’s important to fight for the best choice and make your intentions clear. Small business owners should never settle for the first or second quote they receive. If you only talk to two companies out of a possible 10, you’ve got an 80 percent chance of missing out on the best coverage, service and price. You don’t want anyone on your team wasting hours on the phone, getting the runaround from a semipro insurance company or arguing over the value of a vehicle. Let companies know you’re shopping around, and make them earn your business. If your business requires you to spend significant time behind the wheel, consider the percentages. Does your workforce spend 90 percent of its time on the road? How detrimental would a day or two without a certain vehicle be to your operations? Weigh the risks and the costs, and make sure you don’t put yourself in a situation where an accident could leave you vulnerable. Pick a budget, and do your best to stick to it — but remember that quality service comes at a price. Paying for good insurance is well worth the investment when you’ve put a lot of hard work and money into the business. Minimize mileage. The more time you spend on the road, the more risk you pose to your insurance company. Limit road time in your company vehicles to strictly business, and keep careful records of how many miles your vehicles travel each year. This information can help you assess the company’s overall driving habits, potentially qualifying you for a reduced rate when you renew your policy. Keep it clean. Drivers with clean records are less expensive to insure. Screen all of your driving employees, and check their DMV records. Allowing risky drivers to use company cars can drive up your insurance costs. Take care of the car. Keep up with your vehicles’ scheduled maintenance, and ensure they’re in sound mechanical shape. Regularly servicing your cars can help you avoid unforeseen issues that can lead to accidents. Fix mechanical problems immediately, and keep records of all vehicle maintenance. 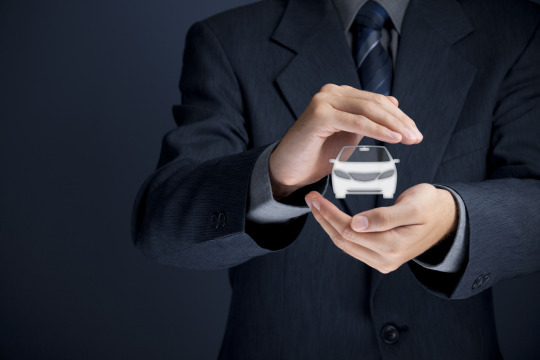 As a company, negotiating the best auto insurance rate can be tricky. But by remembering a few simple mottos and keeping your costs low, you can keep your bases covered — without a blow to your wallet. Daniel Wesley founded Quote.com to provide consumers with auto insurance quotes from leading carriers. Young Entrepreneur Council (YEC) is an invite-only organization comprised of the world’s most promising young entrepreneurs. In partnership with Citi, YEC recently launched BusinessCollective, a free virtual mentorship program.